The Fiskars crowbar is designed for prying loose boards, pulling out nails, breaking and lifting. The nail-puller side features an optimal claw design for pulling out nails. 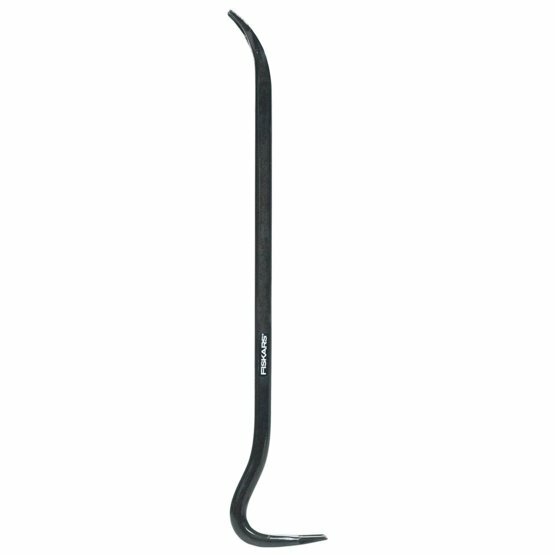 The crowbar side features a lever arm with a progressive shape for prying, optimal for reducing user fatigue. Made of forged carbon steel with hardened ends to ensure user safety against chipping.